Metropolitan Adelaide, the beautiful Barossa, our majestic Flinders Ranges, the tranquility of the Coorong and the wonders of the West Coast. We're proud to call them all home, and more. An urgent part to Port Lincoln, homeware supplies to Peterborough, or perhaps a pallet to Mt Gambier - all in a day's work, and all overnight. 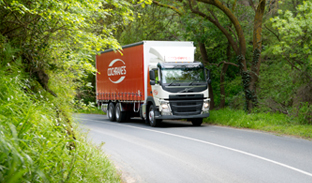 Cochrane's provides complete SA solutions to most of Australia's national transport operators and many of our major companies. But we don't stop there - for over a decade we've been servicing Broken Hill and Mildura with the same next day express service. So whether you need a partner with "one-stop shop" capabilities, or a specialist to a particular region, Cochrane's will deliver. Every night of the week we have linehaul travelling across the state for next day delivery with the support of our agents. 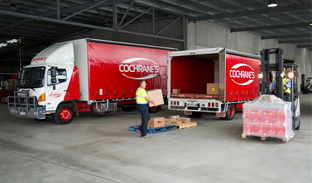 Every weekday Cochrane's has over 40 vehicles of various sizes doing pickups and deliveries in the Adelaide Metropolitan and Outer Metropolitan areas such as Murray Bridge, Victor Harbor, Nuriootpa, Mt Barker, McLaren Vale, Gawler (somebody stop me...). You get the picture. Different pickup and delivery points have different costs to our business, so we divide them up into zones for our pricing matrix. To see what zone your delivery or pickup point is in, please use the quick lookup tool below. 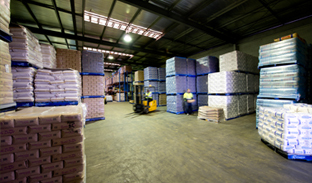 If for some reason you cannot find what you are looking for, please Contact Us for help on 1300 COCHRANES. We were unable to locate your shipping region. Please select from the available post codes and cities. We have been utilising Cochrane's (formerly Northern Kope) to service all our Autobarn/Autopro stores in South Australia over the last 4 years and I'm delighted to say they are one of our best carriers. When we first started working with Automotive Brands we really struggled to find a carrier that could meet the high demands of servicing the SA stores day to day orders. We had stores that required deliveries prior to 9am and others that had tailgate requirements on a daily basis. Cochrane's were tremendous in assisting Fortigo to understand the needs that each store had. Out of all the states that we currently service for ABG, South Australia is by far the smoothest. Finally, if any issues ever arise then Cochrane's work very hard to resolve them. Thank you for the outstanding service provided thus far, and we look forward to many more years of strong business relationships.